By Trio Pangea. By Luiz Costa; Claudio Carneyro; Sergio Azevedo. Classical. Listening CD. Published by Naxos (NX.8573402). "This album contains pieces of Portuguese music that have left a legacy on an international level, including works by Luiz Costa, Claudio Carneyro, and Sergio Azevedo. Azevedo's Hukvaldy Trio is featured here in its world premiere recording. 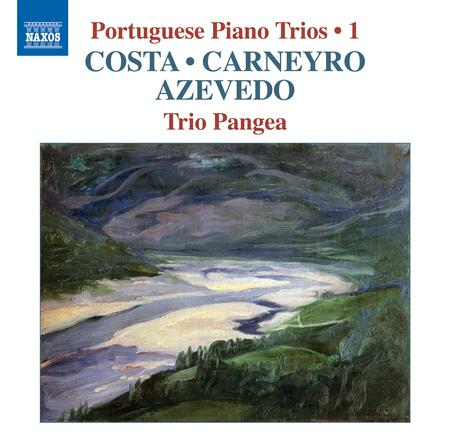 These works are performed by Trio Pangea, which consists of pianist Bruno Belthoise, violinist Adolfo Rascon Carbajal, and cellist Teresa Valente Pereira. ".